Olives and olive oil. Yum! In the U.S., more and more people are starting to discover what Mediterranean peoples have known for—literally—7,000 years: the wonders of olive oil. Homer called it “liquid gold”; the ancient Greeks said that the goddess Athena had created olives; King David hired guards to protect Israel’s olive groves and warehouses. Ancient peoples used olive oil not just for consumption and cooking, but as perfume, anointment for the dead, soap, lights, even medicine (Hippocrates even listed 60 different ailments that he said olive oil could help!). 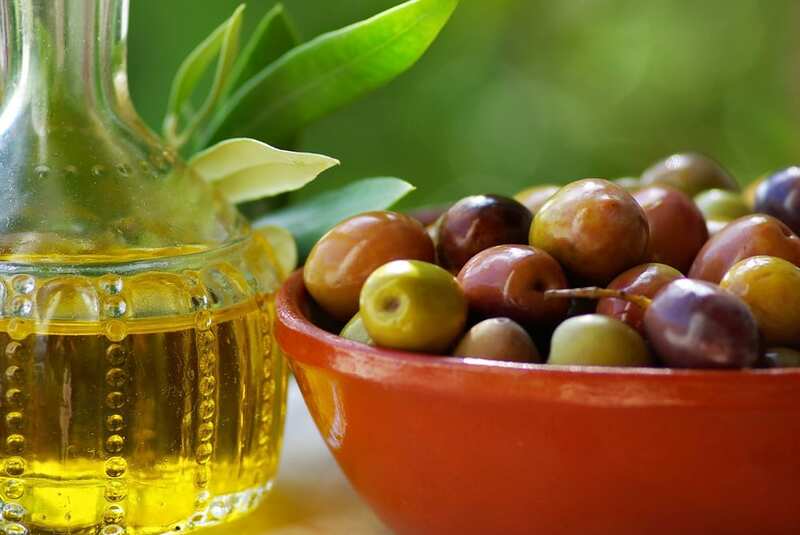 In our day, we’ve attributed olive oil with everything from preventing cancer to heart disease, thanks largely to its high levels of monounsaturated fats and its antioxidants, including vitamin E. Ever heard of the “Mediterranean diet”? One of its main building blocks is olive oil. If you’re coming to Italy, therefore, experiencing the country’s olive oil is one of the neatest, and most historic, activities you could do. After all, Pliny wrote back in the first century A.D. that Italy made the best olive oil in the world. We think he knew what he was talking about, and, what’s more, that things haven’t changed. But you’ll have to taste olive oil to find out for yourself! Why bother, and what are all of those different types (extra virgin, cold pressed, first press, oh my!) of olive oil, really? Get your questions answered below… and if you have any more, put ‘em in the comments! What is olive oil? Technically, it’s a fruit juice: the liquid that you get from smashing up ripe olives.But—as the plethora of resources on different kinds and grades of olive oils alone should tell you—it’s all a bit trickier than it sounds. How is olive oil made? 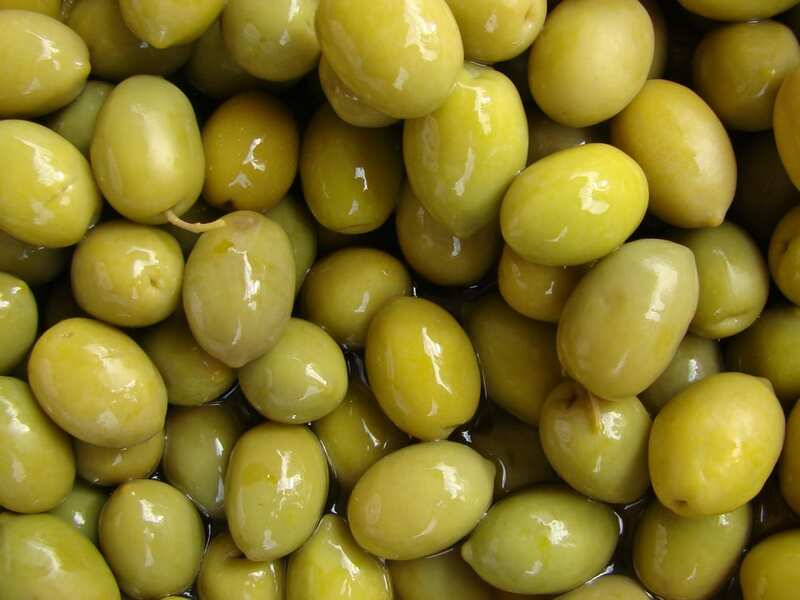 First, olives or almost-ripe olives are ground up into a paste. Traditionally, that was done with large millstones; today, it’s often achieved with steel equipment. Either way, the process is a bit delicate, as the olives had to be ground without breaking up the stones. Next, the oil must be separated from the bitter, watery liquid remaining in the paste. Traditionally, the paste would be spread onto disks that are stacked on top of each other, then pressed, squeezing out the liquid. That would be the “first press.” The paste would then be mixed with hot water or steam and pressed o nce more. That “second press” oil wouldn’t be nearly as flavorful, sin ce the number-one enemy to olive oil is heat. (Remember that next time you’re heating up olive oil in the skillet!) This, by the way, is where we get our idea that the “first press” or “cold pressed” olive oil is better. Today, though, few mills use this process. Instead, it’s all about centrifugal force: Since water is denser than oil, spinning the paste separates the two components. (It’s the same idea that goes into separating cream). While you could heat the paste to get more oil, doing that, again, degrades flavor. So most places split the difference, warming the paste up to room temperature instead. (Make sure to check out our video below on how olive oil is made, too!). Most modern methods have rendered the term “first press” obsolete, since there is no second press—it’s a continual centrifugal process. But you wouldn’t know that from the number of times you see it on labels! (A caveat: In Europe, “first cold press” must mean not just that the temperature remained below 27 °Celsius, but that the oil came from the first pressing of the traditional, hydraulic presses, not by a centrifugal mechanism. So if you want truly traditional oil, look for “first cold pressing” on the label). What about the label “extra virgin”? “Extra virgin” olive oil is the highest grade you can get. It means that the extraction process didn’t alter the olive oil in any way, and no additives were thrown in. The regulations are also directed at the “thermal conditions”: no heat, please! Those are some fine-looking olives! “Extra virgin” olive oils also are supposed to have that low acidity (the International Olive Oil Council defines it as 0.8 percent acidity; the European Union regulates it to be less than 1 percent; and just in October 2010 did the U.S. also make this a legal standard, setting it at 0.8 percent). These oils have to meet other standards, too. Because it’s so “pure,” an extra virgin olive oil’s taste is affected by everything from what kinds of olives were used to where they were grown. That’s what makes olive oil tasting fun! The next step down is “virgin” olive oil. According to the IOOC, it has an acidity of no more than 2 percent and more flaws than its extra-virgin peers. Below that are other grades of oil, including, at the very bottom, “lampante virgin olive oil.” According to E.U. law, it can’t be bottled—it has to be refined or used for some purpose besides human consumption! It’s mostly used in the industrial market. Once lesser grades of olive oil are refined, though, they’re often mixed with better virgin oil. Those blends make up the majority of olive oil sold in the world. They used to include oils labeled “light” or “extra light” in the U.S.; with the new F.D.A. standards, they should now be labeled “U.S. olive oil” (for a refined olive oil-virgin olive oil blend) or “U.S. refined olive oil” (for straight-up refined oil). And… “made in Italy”? Here’s where E.U. regulations really fall down. Olive oil can be sent to Italy, blended with even a minor percentage of Italian oil, and then sold as a local or “Italian” product, even with “produced in Italy” on the label! If you want to avoid that and make sure you’re really getting the local stuff, look for oils that are D.O.C. or D.O.P. (statuses conferred on local goods to maintain their purity), or that come directly from small producers (like those you could buy at an agriturismo or farm market). Why “taste” olive oil? That’s a good question when you’re talking about the mediocre, mass-produced stuff that most of us are familiar with. Taste one cup after another of that oil? No thanks! When you focus on extra virgin, local olive oils, though, you can start to see why olive oil tastings are appealing. Each kind of oil has a different flavor, smell, and even color. Olive oil tastings, therefore, can be every bit as rewarding as wine tastings or cheese tastings! How do you taste olive oil? Similarly to how you’d taste wine. Pour about a tablespoon of the oil into a small glass. If you really want to get the full effect, swirl it a bit to release the aroma, with your hand covering the top, then remove your hand and inhale the smell. Then take a sip, letting some air into your mouth, too, so that you slurp a little bit—this lets the oil spread around your mouth a bit more. Then swallow. The whole time, think about what flavors you’re tasting or smelling, how bitter the oil is, and whether it’s stinging and pungent. Found an olive oil you love? Now what? So you’ve done a tasting and wound up with a fantastic bottle of extra virgin olive oil. Great! Remember, first, that olive oil is not like wine in that aging is not a good thing. When you buy a bottle, look for the year it was made—the “vintage” date—and try to consume it within two years, at the most. (Our friend Pliny is even stricter: “It is not with olive oil as it is with wine, for by age it acquires a bad flavor, and at the end of a year it is already old,” he wrote). What you won’t want to do with it is use it up on frying or sautéing. As food expert Gillian Riley writes, it’s “like freshening the kitchen sink with Chanel No. 5.” Use cheaper oils for your normal, everyday cooking needs. A top oil should be used in dishes where you can actually experience it: on salad (even without vinegar), for example, sprinkled onto foccacia or bruschetta, or drizzled on top of a hot dish right before serving, which lets the oil’s aroma release. Congratulations for the post.How many details! Thanks for this article as I am starting to learn more about olives. We usually buy our olive oil from good friends who have olive trees and you can definitely taste the difference from store bought ones. This weekend, we were in Umbria and saw that people were harvesting their olives. Next weekend, it’s out friend’s turn. Can’t wait as we down to our last litre. Pope John Paul II is back in the headlines—thanks to his imminent beatification ceremony, set to take place at the Vatican on May 1st….